Women Genuine Leather Hobo Bags Soft Shoulder Handbags Supple Lady Satchels by Qiwang at SCRHI. MPN: 1012. Hurry! Limited time offer. Offer valid only while supplies last. Features: genuine full grain cowhide（first layer leather）, breathable and supple. 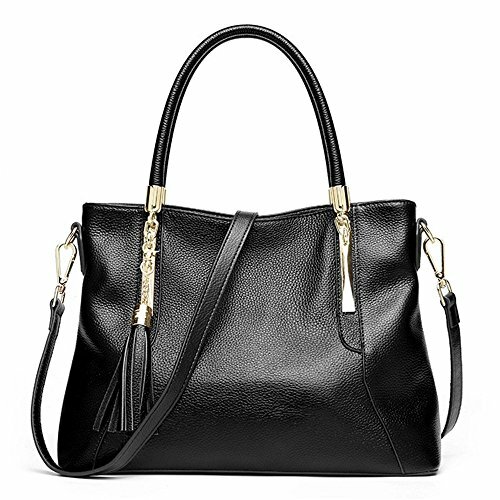 Dimensions: 32*14*26 CM, top handle height：13 CM，long shoulder strap：115CM. Occasions: commuter, business, party, dating, outdoor, formal, shopping, runway, wedding, casual daily. Seasons: Top-handle and shoulder bag styles, soft leather and moderate size make it fit for the coming summer and autumn. Compartment: cellphone slot, ID card slot, wallet slot and the main large capacity room for you to put in your basic necessities: makeup items, cosmetics, umbrella, sunglasses etc. If you have any questions about this product by Qiwang, contact us by completing and submitting the form below. If you are looking for a specif part number, please include it with your message.